In the United States, tinnitus (ringing in the ears) affects 20 percent of the total population, and hearing loss occurs in 90 percent of the cases. With such a substantial relationship between hearing loss and tinnitus, you would think that people would be more inclined to seek treatment for one or both ailments. But believe it or not we find the exact opposite. Among those who bypass treatment for hearing loss, 39 percent (9 million people) do so because they feel that nothing can be done about their tinnitus. That’s 9 million people that are suffering unnecessarily when a treatment exists that could both improve hearing and relieve tinnitus concurrently. That treatment is the professional fitting of hearing aids. In a recent survey of hearing health professionals, it was found that 60 percent of patients reported some measure of tinnitus relief when utilizing hearing aids, while 22 percent claimed substantial relief. Based on these numbers, if the 9 million who have given up on tinnitus utilized hearing aids, 5.4 million would achieve some degree of alleviation and about 2 million would attain substantial relief. But how do hearing aids minimize the severity of tinnitus? The scientific agreement is that hearing loss leads to diminished sound stimulation reaching the brain. In response, the brain goes through maladaptive neurological changes that generate the perception of sound when no external sound is present. 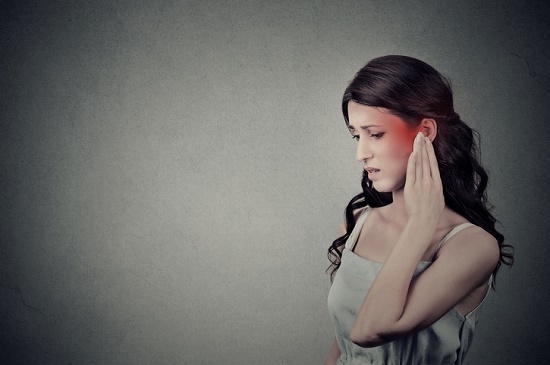 It’s this very subjective nature that makes tinnitus so perplexing to diagnose and treat, and why medications or surgical procedures typically have little to no effect. There’s simply no physical tissue to repair or chemistry to alter. But there is a way to reach the perception of sound, a way to help the brain adapt or reverse its reaction to reduced sound stimulation. With hearing aids, amplified sound can help readjust the brain to regular levels of sound stimulation and simultaneously offer a masking effect for the sounds of tinnitus. For patients with hearing loss, tinnitus is more noticeable because the tinnitus is louder relative to the volume of external sound. By turning up the volume on external sound, tinnitus can disappear into the background. On top of that, some hearing aids can furnish sound therapy directly to the user, which can be individualized for each person. Hearing aids, coupled with sound and behavioral therapy, are right now the best tinnitus treatment options available. Most patients report some measure of relief and many patients report substantial relief. Are you ready to give hearing aids a try? Schedule a consultation today!